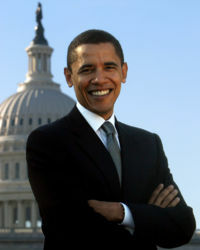 Presidential candidate Barack Obama’s support in the race for campaign cash appeared quite stunning as his total number of donors to nearly 250,000 people in the first six months of the year. The Illinois senator impressed rivals in the first quarter when he reported 104,000 donors, but he surpassed the mark in the second quarter with 138,000 more opening their wallets, the campaign told The Associated Press. The campaign won't say yet how much the donors have given, but the large number suggests their fundraising will be competitive with the $25.7 million (EUR19.1 million) he raised in the first quarter. A campaign official speaking on the condition of anonymity tried to tamp down expectations by disclosing that the average donation in the second quarter is likely to be less than the roughly $247 (EUR184) in the first quarter. The campaign was announcing a goal Thursday of attracting 250,000 donors by midnight on Saturday, the next money reporting deadline. It was 7,214 short as of Wednesday. Campaign manager David Plouffe touted the numbers in a letter that the campaign planned to e-mail to supporters Thursday. "This campaign has become a vehicle for hundreds of thousands of Americans who believe that the people can take control of the political process again," Plouffe's e-mail said, according to excerpts provided to the AP. "There are some who don't think it's possible. But the reality is clear: Individual people with purpose, with passion and willing to make a small sacrifice can build a movement unlike anything presidential politics has ever seen. And we're only just getting started." Obama's campaign announced the final push for cash on the same day as a Democratic presidential debate, an announcement that could rattle his rivals. Aides to his top competitor, New York Senator Hillary Rodham Clinton, say she will match her $26 million (EUR19.3 million) from the first quarter. That another candidate could even approach her fundraising prowess was unthinkable six months ago. But the Illinois senator has drawn supporters who have been inspired by his long-standing opposition to the Iraq war, his message of hope and his chance to be America's first black president. Like Clinton, Obama has attracted the Wall Street executives, Hollywood moguls and other rich donors who traditionally have fueled political campaigns. But Obama has also concentrated on smaller donors who can give just $25 or $50 each, a practice that other campaigns said they also have adopted in the second quarter. Obama still trails Clinton in national and most state polls, but the money will give him the ability to fund an aggressive challenge to her front-runner status. He began his television ad campaign this week, with a spot in Iowa highlighting his biography. The Obama campaign said it believes the number of donors is a record for six months of fundraising. Much of Obama's money comes in small-dollar donations made over the Internet. Campaign experts say a large base of small donors can help build a candidate's support in ways beyond funding. Michael Malbin of the Campaign Finance Institute said Obama sees small contributions as a leverage to get people to come out and volunteer. "I don't think most of the other candidates are at that point. That's not what they're doing," he said. He did point out that Clinton has the potential to tap a sizable donor base, noting that she had more small donors in her 2006 Senate effort than any other Senate campaign.